This year’s World Series is being touted as one of the best in history. The Houston Astros and Los Angeles Dodgers have put on a show for the ages, most recently capped by the Dodgers forcing a Game 7. Betting action has been rampant on the Series since the beginning, but Game 7 will undoubtedly draw high number of bets. You can find legal betting online for the final installment of the World Series. Both teams have incredible offenses, which have been display throughout the entire postseason, but their defense has been nothing short of extraordinary. The Series began in Los Angeles on October 24, and the Dodgers clinched a 3-1 win. Game 1 was also the quickest World Series game in 25 years, leaving some fans dismayed at how this could play out. Little did they know they were in for the series of a lifetime. Game 2 was also in LA, but Astros were able to escape with a 7-6 victory to tie the series. Game 2 ended up going into overtime after a Dodgers rally, but George Springer helped the Astros go up with a 2-run homer. The game ended with Yasiel Puig striking out. This was their first victory in franchise history. Game 3 saw the action move to the Minute Maid Park in Houston and the Astros capitalized on home field advantage winning 5-3. The Astros went up 3-0 by the bottom of the second. They put up 2 more runs by the 7th and were able to stave off the Dodgers’ rally. Game 4 was also in Houston, but it proved to be LA’s day with a 6-2 win to tie the series at 2-2. Game 5 was arguably the best World Series game of all time, finishing 13-12 in extra innings to give the Astros a 3-2 lead over the Dodgers. The Astros gave up 3 runs in the first inning. He was relived in the fourth after putting Houston in a 0-4 hole. Yuli Gurriel tied it up with a homer in the bottom of the fourth. The Dodgers answered via Cody Bellinger putting up a 3-run homer to take a 7-4 lead. Jose Altuve tied it yet again with another 3-run homer. This pattern kept repeating in the most back-and-forth game of the series. The Astros were leading 12-9 at the beginning of the 9th. After the Dodgers rallied for the tie, young infielder Alex Bregman won the game with an RBI. Game 6 was relatively quieter than its predecessor. Dodgers fans were happy to see their team force a Game 7 on their home turf. Houston put the first point on the board through George Springer, but the Dodgers took over through an RBI in the 6th. Chase Utley put them in front shortly after. 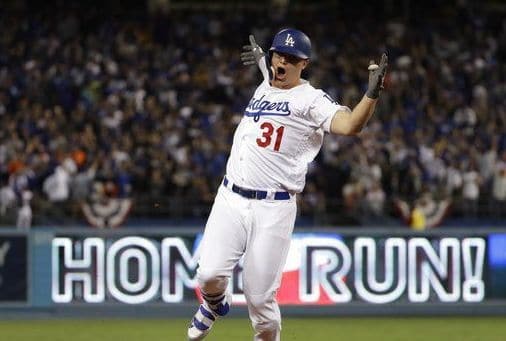 Joc Pederson sealed the deal with a home run in the bottom of the 7th. This series has seen a hefty rotation on the pitching end, with star players Clayton Kershaw and Dallas Keuchel missing the majority of the action (Game 1 was their duel). Relievers have filled the void, as these 2 pitchers have been pulled or rested in subsequent games. Despite the reliance on backup pitchers, all pitchers will be available for Game 7. The managers will have their full arsenal to pull from. Game 7 will surely have more home runs, as the 2 teams have set a World Series record combining for 24. Home field advantage is a significant factor, and the Dodgers have the momentum, but the Astros are the only team to pull off 2 consecutive wins. If you’re looking to legally bet online on the World Series, Houston may be the better bet. US Gambling laws permit the use of offshore sportsbooks, which are the only legal means for Houston and LA residents to use for betting. Game 7 is tonight and it will be a game to remember.